Thermal and fire protection for aircraft engine reversers to withstand 2000 deg for 15 minutes. 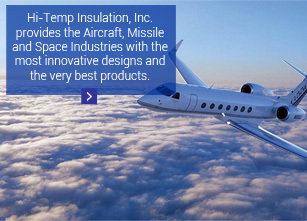 Sewn and quilted blankets for protection from extreme temperatures used in aircraft, missile and space applications. Soft good products for emergency fire protection and continuous use under 450°F requiring thermal protection with fire stop capabilities. As specialists in metal foil, soft goods, and sewn insulation designs, we have the experience to provide solutions for a variety of demanding applications. We are focused on quality, schedule and best value. We partner with our customers to develop tools, plans and targets for price, delivery, inventory and lead-time improvements.